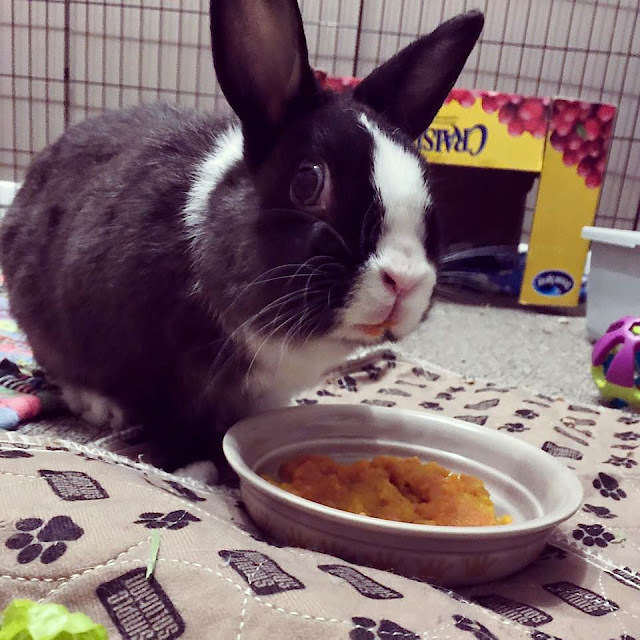 Disapproving Bun: Happy Big 1-0 Mr. Toes! 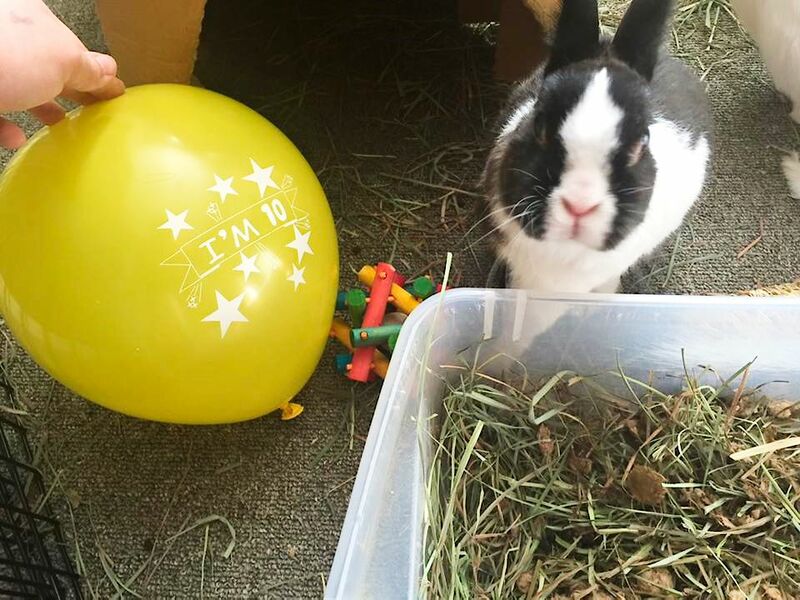 AWWwwwww - A very Hoppy 10th! 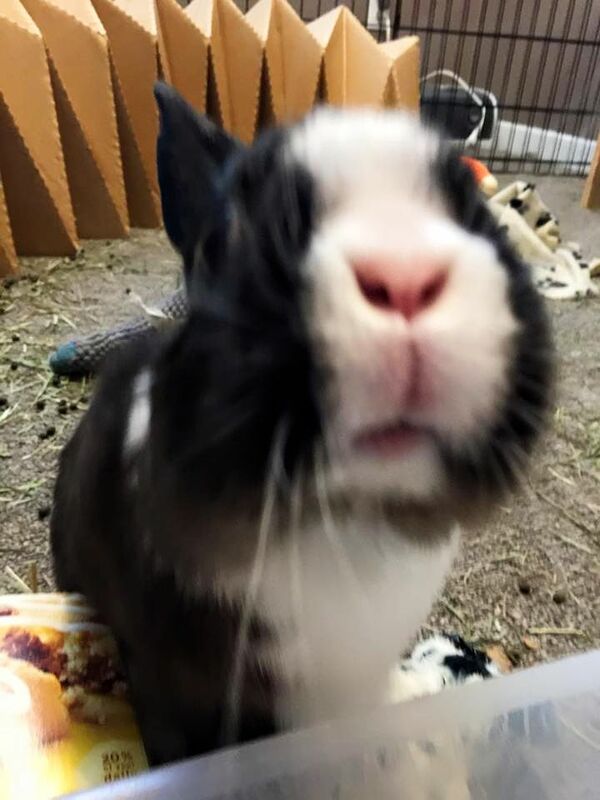 Specials treats and nose rubs! Thank you, Renee, and thank you Mr. Toes, and Happy, Happy Birthday! I love Mr. Toes! He looks like he's not sure he approves of that orange foodstuff. Better look into it! Yay!! 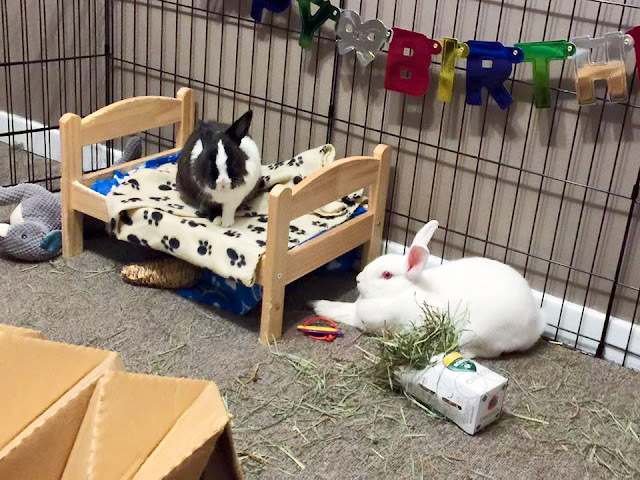 A very Hoppy BirthMonth, Mr. Toes! May all bunns and hoomins raise a toast to your entire decade of mischief and disapproval (and generally being adorable).